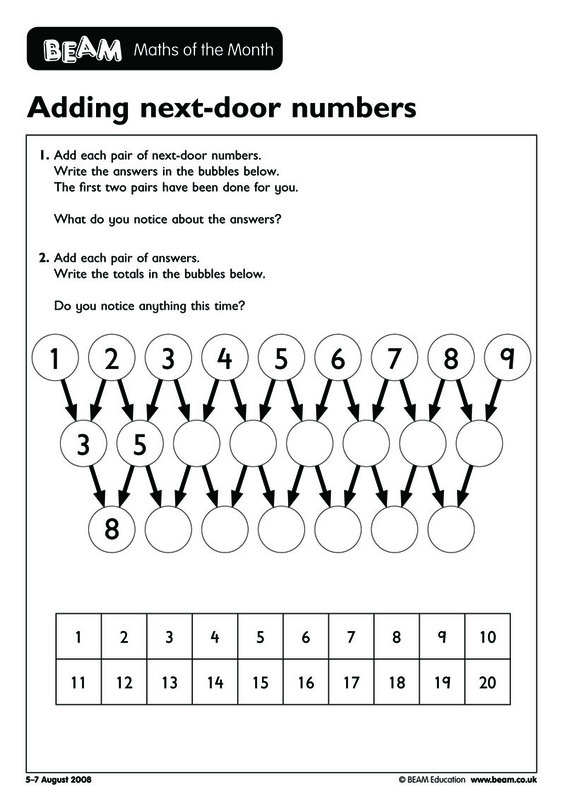 BEAM: Be A Mathematician has lots of free maths of the month printables. It's a great resource for teachers. Activities are targeted at kids age ranging from 3-13. 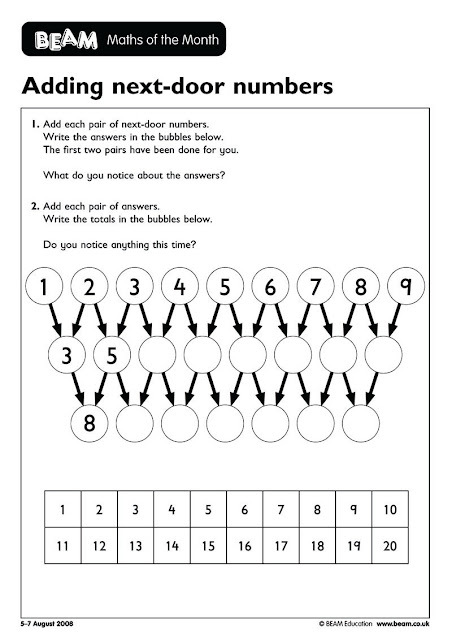 Left is an addition activity that teaches kids about patterns in addition: "Adding Next Door Neighbors" from BEAM.